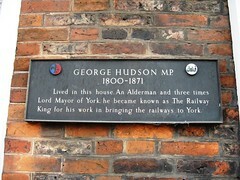 George Hudson M.P. 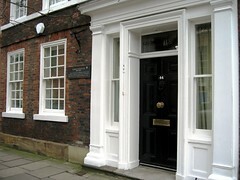 1800-1871 Lived in this house. 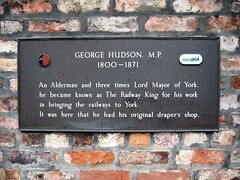 An Alderman and three times Lord Mayor of York, he became known as The Railway King for his work in bringing the railways to York.